This is Part 3 of a 3-part analysis of 3 PowerPoint-based eLearning tools: Articulate Studio 360, Adobe Presenter 11.1, and iSpring Suite 9. As an independent consultant, I have the pleasure of owning all 3 of these tools and have used them at one time or another for client projects. 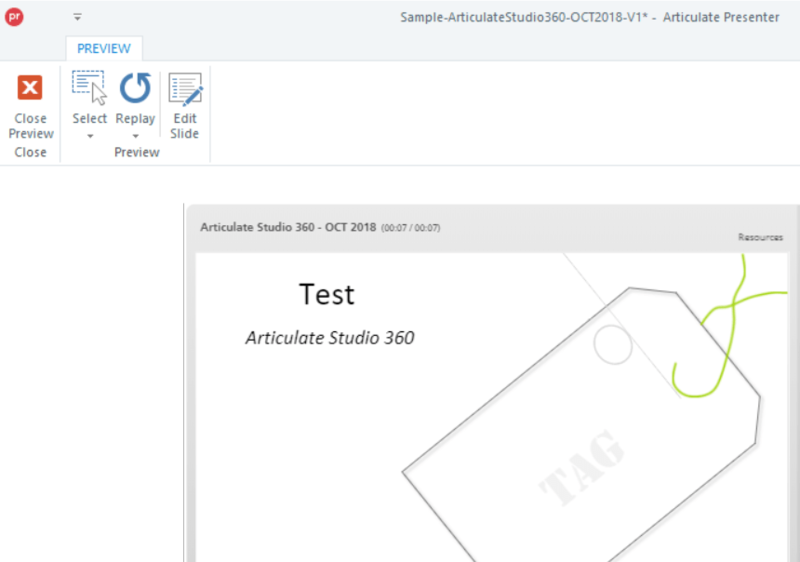 While many eLearning Designers are flocking to Articulate to have and hold all of the bright, shiny new applications like Storyline, Rise, etc., Articulate Studio 360 remains a pragmatic business solution that can produce microlearning in a micro-second. But despite its usefulness, Studio 360 is often buried beneath the marketing for the other bright and shiny tools in Articulate 360. Disagree? Have you done a web search for Articulate 360 lately? Note that Studio 360 is now in the "slew of other authoring apps" category – not even worth a specific mention with Storyline and Rise. 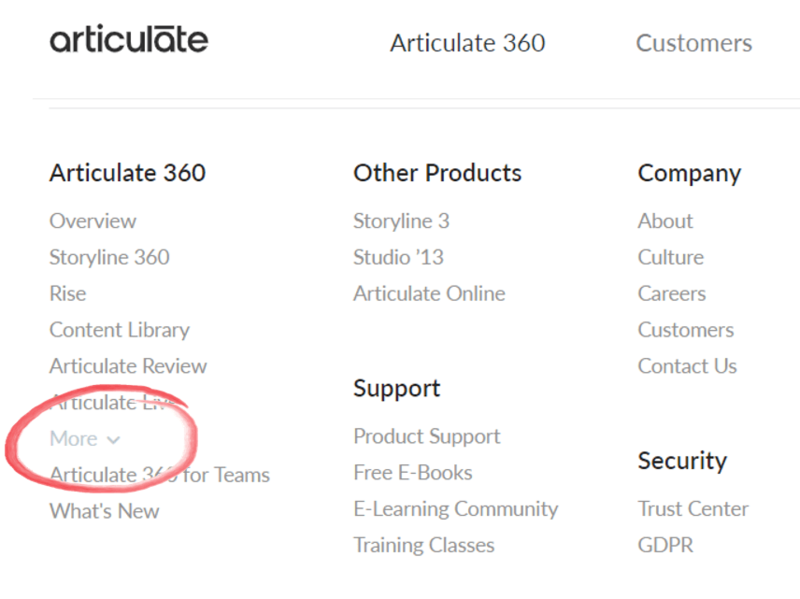 And when you get to the Articulate 360 web page, Studio 360 is listed as the 7th item in the Articulate 360 list. What? You can’t see it? See, it’s right there, just below Articulate Live. Well, it will be there after you click the "More" choice list link. OK, I think I’ve made my point. But neglected or not, let’s dig a little deeper into Studio 360. An amazing cloud-based review platform that allows you to share a published lesson with your review team. In addition to the additional characters, Studio 360 includes numerous slide templates that can be used for your lessons or assessments. All Articulate 360 tools now have an option for publishing to HTML5 only. Responsive Player: The Studio 360 published output now plays with optimized User Interfaces on desktops, tablets, and mobile phones. Along with the new features, it is important to point out a few general things that I wish Studio 360 had improved from their previous version. While there is no tool that claims that they convert all PowerPoint animations, Studio 360 still lags behind the competition in this category. Cannot do them at all, which eliminates a valuable PowerPoint feature for learner interactions. It’s also important to note that the pricing for Studio 360 is different from previous versions. It now uses a subscription model that costs $999 annually, which is substantially more costly than Adobe Presenter and iSpring Suite. Of course, the $999 also includes Articulate Storyline and a "slew" of other tools – but you still have to pay that price to get all the features in Studio 360. 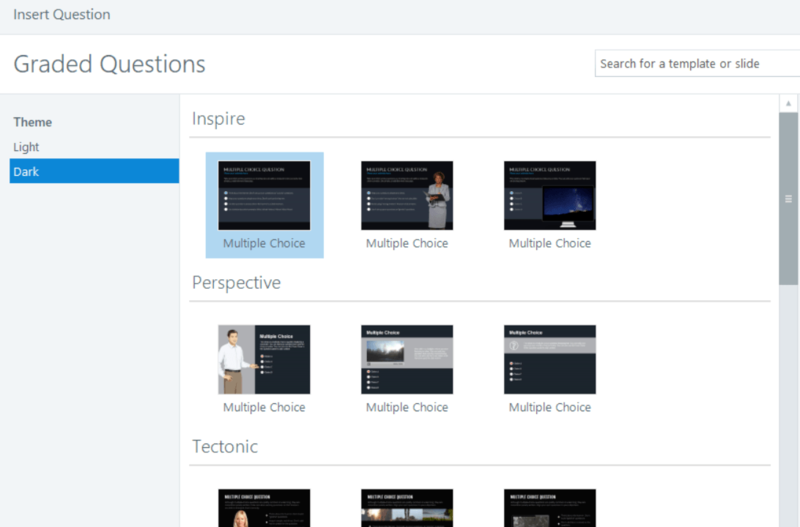 Engage 360 is the newest version of the longtime Articulate tool for learner interactions. Engage debuted in 2006 as an innovative, Flash-based tool that provided a model that competitors worked hard to emulate. It is a key component of Studio 360, however, it has not changed/improved much at all over the past several years. There are plenty of templates to choose from (20) in Engage 360, and I kicked the tires on two of those: Timeline and Conversation. Both were very easy to use and it took very little time to create both interactions. With Timeline, I created several events within one time period each event appeared as a clickable bubble inside the timeline arrow. Overall, Timeline worked fine, but I was disappointed that the timeline "bubbles" were not distributed with equal distance (see screenshot below), and I had to click and drag them to make them roughly equal distance from each other. In addition, I have to add that Engage is still very slow to display when invoked, which means the core programming for this application has probably not changed very much. 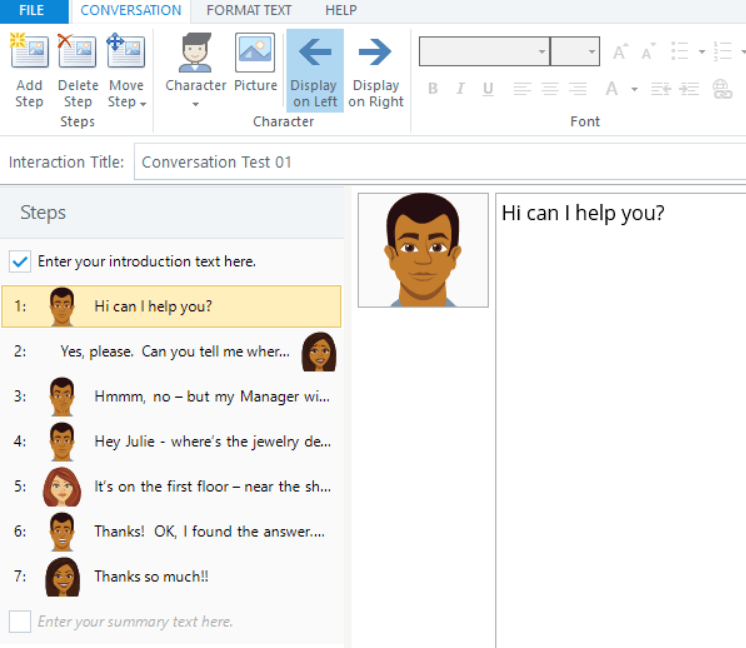 The Conversation interaction was also very simple to use, and I was happy to find that I could add additional characters for a role-play that requires more than two people. Some people complain that Engage interactions are too restrictive and have limited functionality, but I would argue that some interactivity is better than none, and Engage certainly makes it very easy to add interactivity to your lesson. With the Characters interaction, I was a bit disappointed that there were no conversation branching options and the summary text could only be inserted at the end of the conversation, but a good Instructional Designer can figure out a way to make that work. Perhaps the more important issue is that Studio 360 would have many more options and flexibility for learner interactivity if they added the capability to convert PowerPoint animation triggers. That would allow IDs to create "free-form" interactions – and use Engage whenever it was sufficient. Studio 360 has a very robust quiz tool (QuizMaker 360) and it now has options for additional dazzle by selecting from a number of professionally designed graphic layouts for your multiple choice questions, results slides, and more. You can use as many different layouts as you want in each quiz question, and you can customize the design for each quiz question by working in Slide mode. As before, when you are working in Slide mode, you also have many free-form features for the question’s layout, just as you would with a normal PowerPoint slide. It is also helpful that you can insert numerous characters from the Studio 360 characters, and you can add other images, audio tracks, or videos to your questions. There are 11 question types, and with each question type, you can create highly customized learner feedback with as much text and multi-media elements that you want. In addition, you can branch to any other question, based on the learners correct or incorrect answer. The only shortfall of this robust assessment tool comes on publishing end, where you will only be able to use one quiz score to evaluate your learner’s understanding of the lesson. This can be a pain point with longer eLearning lessons where you may have several knowledge checks within a lesson, but if you have an LMS that can combine several smaller lessons into a course or curriculum, you may be able to get around this shortcoming. One of Studio 360’s big improvements was to beef up their HTML5 publishing capabilities, and they were the first PPT-based tool to boldly offer to publish to HTML5 only. They also have a responsive player, which means that the learner’s interface will change based on the device that he/she is using. And, of course, in this world where just about every company allows people to utilize multiple devices, the HTML5 and responsive design are critical features. 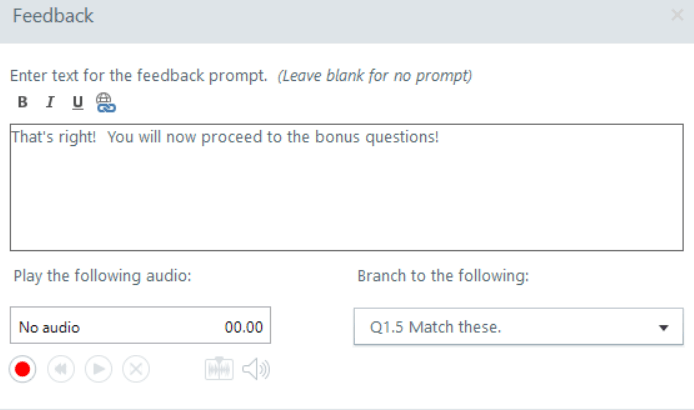 Studio 360 also includes an option to publish to Articulate Review, which is a cloud-based area where the eLearn lesson displays along with an easy-to-use comment panel on the right. It is certainly one of the OH WOW features of Studio 360 and is a huge help for IDs who are working with all sizes of review teams. The biggest flaw with the Studio 360’s publishing feature is its somewhat random inability to display graphic images accurately and clearly. I had several graphics in my PowerPoint slides that Studio struggled with, but were displayed perfectly in Adobe Presenter and iSpring. Here is just one example. For some reason, a deep blue image came out as light gray when published with Studio 360, and I had similar results with other graphic images. What you see (in PowerPoint) is sometimes not what you get (in a published lesson)! Here’s a silly, small thing that I have to mention. 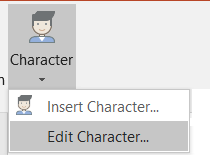 Studio 360 is the only PPT tool to have an Edit Character menu choice. So what, you say? Well, first of all, it saves me time. When I want to change a character’s pose or expression (which I do often! ), I don’t have to start from the beginning again. My character is already selected, and all I have to do is choose a new pose or expression. And second, it’s clever. Hats off to the Articulate engineer who is thinking of his/her audience! Articulate Review is a truly great innovation that makes collaborative development infinitely easier. Many, many characters to choose from – and the characters are very well integrated across all features in Studio 360. 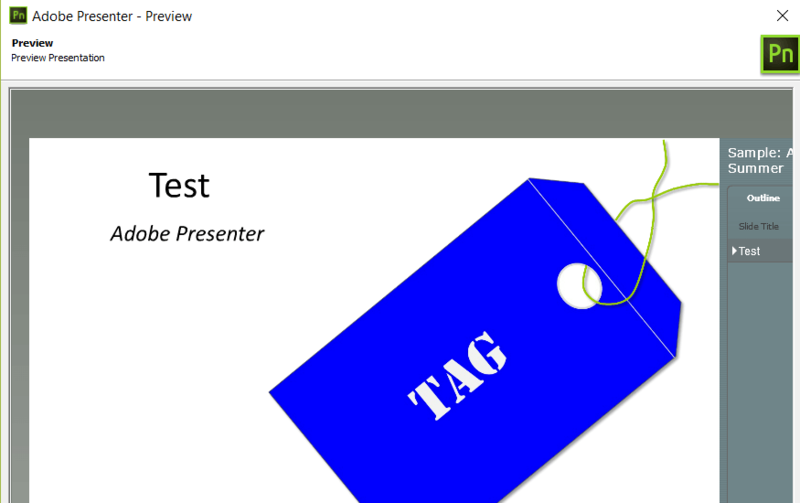 Professionally designed layouts for slides and quizzes allow the non-graphical ID to produce slick looking content. The Articulate community provides other helpful assistance from trouble-shooting to professional looking templates. A responsive player is very helpful for learners who access lessons on various hardware devices. It does not convert a number of PowerPoint object animations and slide transitions. It does not work with PowerPoint animation triggers. Issues with the quality of publishing will force you to re-design images from time to time. It is not offered with a perpetual license. The annual subscription costs $999, which is significantly higher than Adobe Presenter and iSpring Suite. It is not the lead product for Articulate and appears to be left behind in some ways. Future growth for this product may be in jeopardy. If you are looking for the best PowerPoint-based eLearning tool, Studio 360 is probably not the top choice. However, it will be important to consider your potential need for an advanced eLearning dev tool such as Storyline or a web design tool such as Rise, because both of those (and others) come along with Studio 360. The choice is yours!